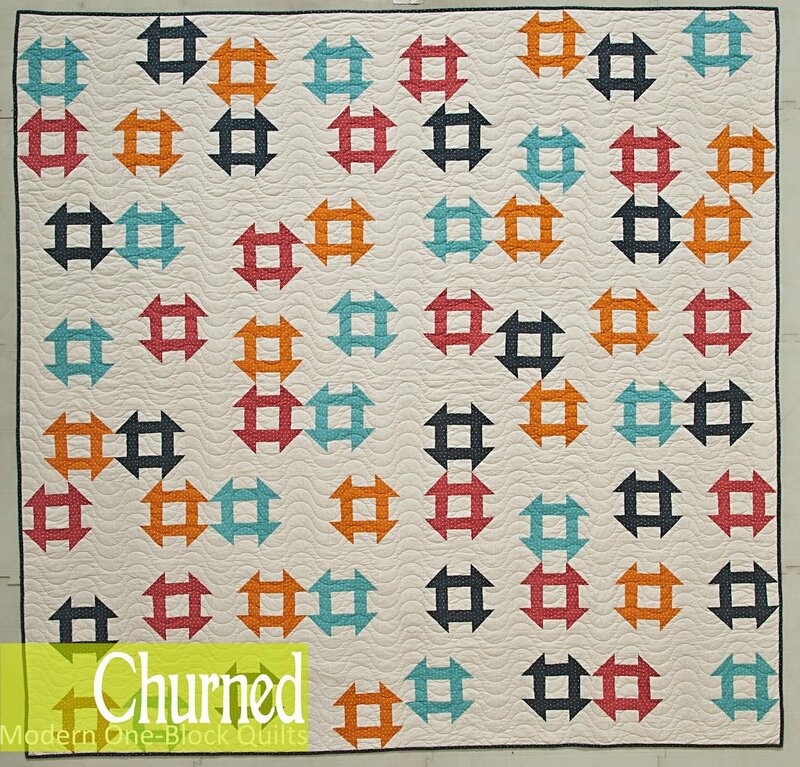 Looks are deceiving--in a charming way--in this twist on a traditional Churn Dash quilt. We've sewn white strips to just tow sides of our Churn Dash block, making the design off-center. The result is a square block that is set in straight, traditional rows even though the quilt looks as if it were put together in a complex diagonal setting. This quilt is made from high-quality Moda fabrics and measures 80"x80" square.